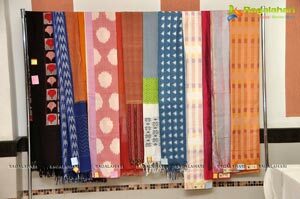 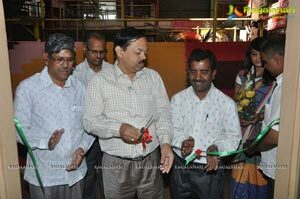 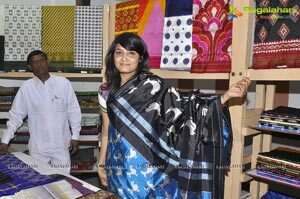 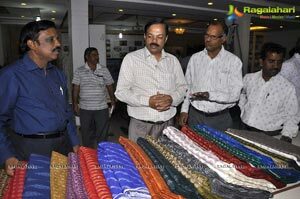 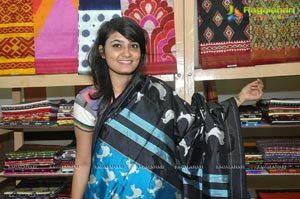 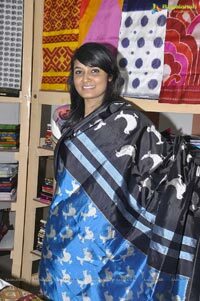 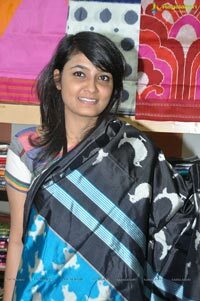 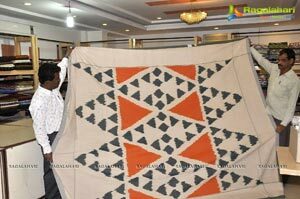 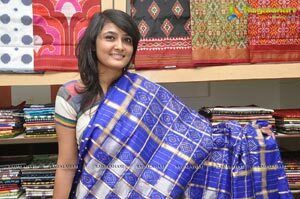 Pochampally Handloom park organized ‘Pochampally IKAT Mela 2013 at Minerva ( Bibesia) Banqeet , Amrutha Mall , Somajiguda., renowned Textile designers & World famous Weavers of Pochampally , presenting their designer and appearls, handicrafted designer sarees, dress materials, hand bags many more.The exposition will be on till 11th feb 2013. 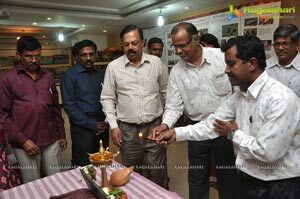 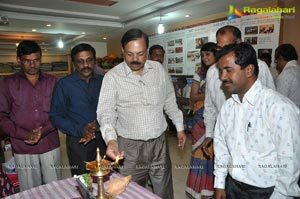 Chiranjivulu , Andhra Pradesh Government Handicrafts & Textile Commissione inaugurated the Mela by lighting the traditional lamp. 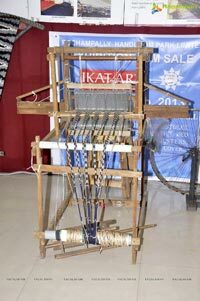 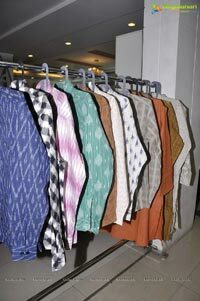 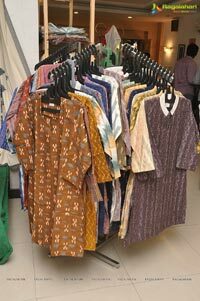 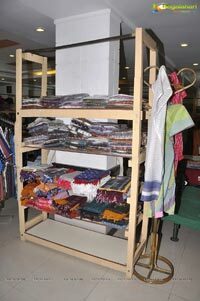 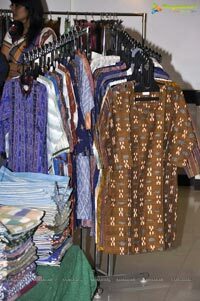 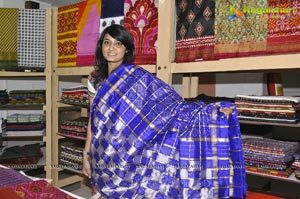 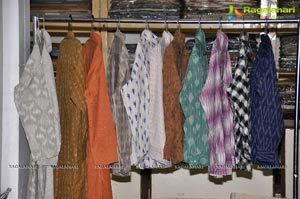 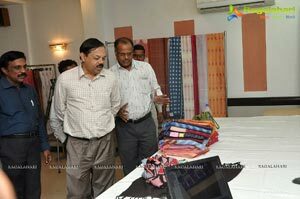 “Which can see the blend of different style and concept of handloom creations coming together under one roof, weavers and exhibiting their creations of different genres of handloom products in vibrant colours and textures in wide variety and styles” Chiranjivul ’ said. 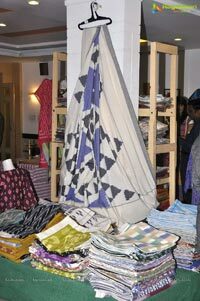 “It’s glad to see various apparel, particularly designer Fabrics, silk and cotton sarees, to be showcased for the Fashion Connoisseurs, Platforms such as this are required to reach out women looking for well-designed hand made cotton, silk wear & exclusive home textile ” he added. 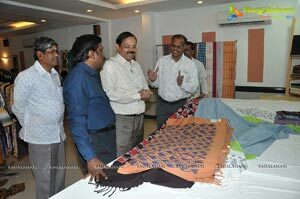 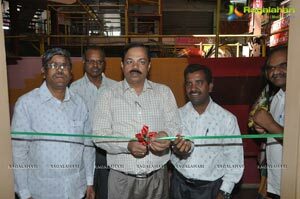 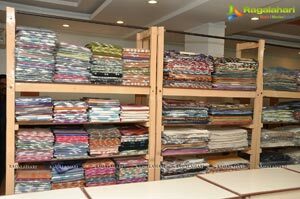 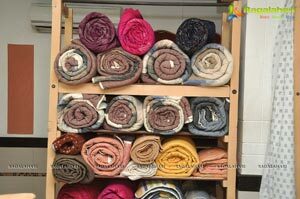 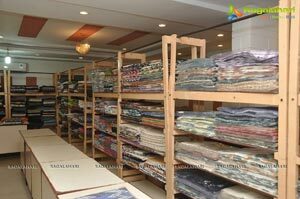 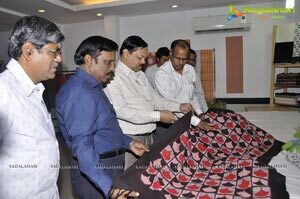 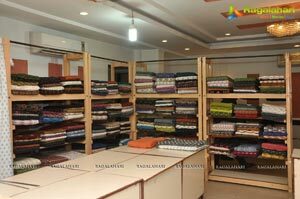 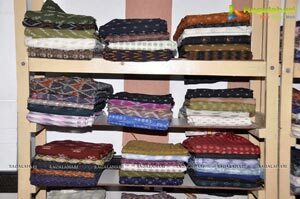 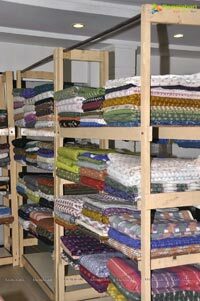 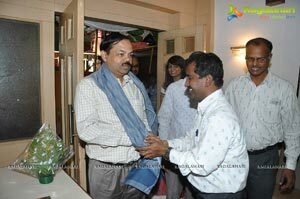 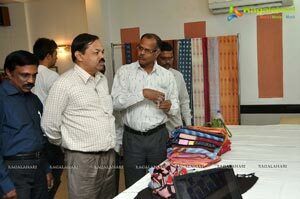 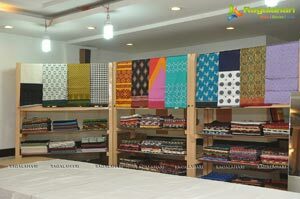 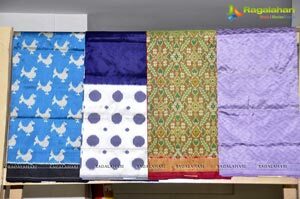 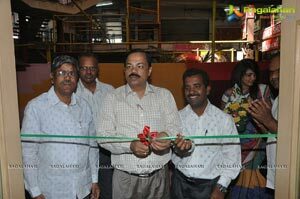 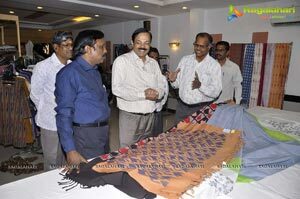 `On display is a colour ful range of fabrics like home textile to apparel fabrics, stoles , scraves, and sarees in silk & Cotton, duppatas, table mats, covers, cotton shirts & Kurtis, Hand bags’ K.Devender , Chairman , Damoder , Krishna Directors of pochampally Handloom park.